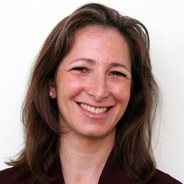 Dr. Molly Shoichet holds the Tier 1 Canada Research Chair in Tissue Engineering and is Professor of Chemical Engineering & Applied Chemistry, Chemistry and Biomaterials & Biomedical Engineering at the University of Toronto. She is an expert in the study of Polymers for Drug Delivery & Regeneration which are materials that promote healing in the body. Dr. Shoichet has published close to 400 papers, patents and abstracts and has given over 250 lectures worldwide. She currently leads a laboratory of 25 researchers and has graduated 75 researchers over the past 15 years. She founded two spin-off companies from research in her laboratory.